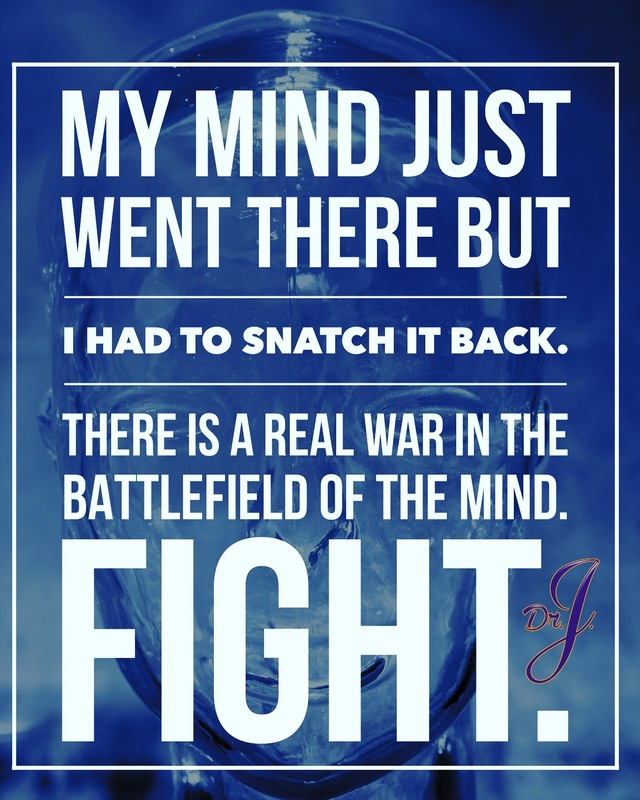 “Keep the Devil Out of Your Head” by Dr.J. Keep that dragon, the devil out of your head. He is a deceiver, a liar, a thief, and the father of lies. We will not continue to let Satan mess with our minds about what we’ve done in the past. You’re thinking that because what you did was horribly terribly wrong that you’re still tied to it; because it was utterly disgusting or ridiculous that you are those things. We are not what we’ve done! Recall the most disgusting, hurtful, disturbing things you’ve done. You got it in your head? Now, give it to God right now for the last time. God has forgiven us. And even though we may have forgiven ourselves, every time Satan brings it to our heads, we feel guilty and unworthy. This is a deliverance post. With all the Holy Ghost power in me and upon me, I declare and decree healing, restoration, and complete freedom from condemnation in Jesus’s name. We are not our mess. We are not our mistakes. We are not even the things that have happened to us. We are not our past. Walk in your purpose. Come out of darkness right now in Jesus’s name. You are light now, in this present moment. Dr.J.